Qatar is associating environmental protection to its hosting of 2022 football world cup as it plans to plant 16,000 trees around the event venues in a move to calm down criticism over work conditions of laborers. 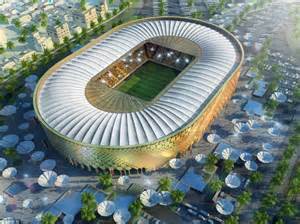 The initiative will involve the eight stadiums to host the biggest event of the football governing body, FIFA. The trees, an assortment of local shrubs and other varieties imported from China, Spain and Thailand, will be grown at a nursery just outside Doha, reports say. The organization committee of the event, Qatar’s Supreme Committee for Delivery & Legacy, has also planned to plant grass around the venues. Temperature in the Gulf country can reach up to 50 degree Celsius in summer. To water the trees and turf at stadiums, the future 2022 World Cup host has resorted to recycled water. The tiny Gulf country, which is currently facing diplomatic isolation in the region by its neighbors, has been under constant criticism for the harsh work conditions of the 20,000 laborers used on the construction sites of the facilities. Rights groups have slammed the country for the death of hundreds of workers. Authorities have not communicated on the death records. Written by: KanelkaTagba on February 23, 2018. Posted by KanelkaTagba on Feb 23 2018. Filed under Gulf News, Headlines. You can follow any responses to this entry through the RSS 2.0. Both comments and pings are currently closed.